Camping Bella Vista es un camping en Albenga, Savona. Este camping en terrazas tiene plazas con cercos, con sombra, sin sombra y parcelas con algo de sombra. Cabe alquilar caravanas fijas y bungalós. El camping dispone de parque de recreo. Para los excursionistas, el camping ofrece programas de excursión, marchas guiadas y varias rutas para bicicleta. Hay un programa de animación. El camping dispone de una piscina descubierta y una piscina infantil. Este inspector visita cada año al Camping Bella Vista y lo inspecciona considerando más de 200 servicios y otros aspectos importantes. El inspector es un trabajador de ACSI y no trabaja para el camping. Stayed here for two nights. The staff were very polite and helpful at all times. Pitches a little tight to get on to but I managed with our 7 mtr motorhome. The site is a little away from it all, but some of us like that peace and quiet. This site access/exit was a nightmare, along a narrow lane with high concrete walls either side. Our rig is not large (Peugeot 508/Airstream 435) but to exit I had to de-couple and use the mover to shunt back and forth to avoid the wall and a metal post which showed many previous scrapes. There were many old tourers permanently on site with lean-to bits cobbled on, and gave the place an air of despair. Thank God we were only there one night! Never again! Due to a problem with a trailer I had a long stay at this site. It isn't situated particularly well for tourism with a motorhome but if you're after a quiet stay it's fine with good local walks and cycling. The pitches come in various sizes but out of season you have a good choice and they're fairly level. The staff are Dutch so speak excellent English and are very helpful, I found this out in my hour of need when they contacted local traders for me. The toilet block is good with hot water although the showers are a bit tight for room, there's an excellent swimming pool behind. There's a small shop and restaurant on site with a limited but tasty menu and the Lidl supermarket is less than a mile away. The WiFi is free but only available near the bar, the coffee's good though, so overall a pleasant place to stay. Nice place near sea, small playground and clean toilets. Surronding is not very special (for us). We were there for just one night. ¿Desea reservar u obtener más información sobre su camping Camping Bella Vista? Puede hacerlo mediante los datos siguientes o a través de la web del camping. A10, sal. Borghetto SS dir. Ceriale. Allí en la rotonda óvala a la dcha. En el semáforo a la dcha. Seguir las señales, preferiblemente no el GPS. 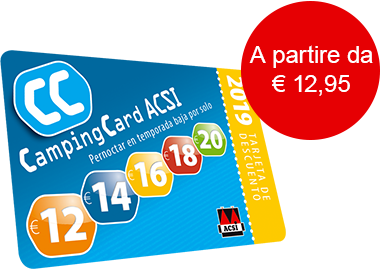 ACSI Eurocampings reenvía su solicitud de información al "Camping Bella Vista".